Aggies Do It Better: Pastel water marble nails! Happy Tuesday! 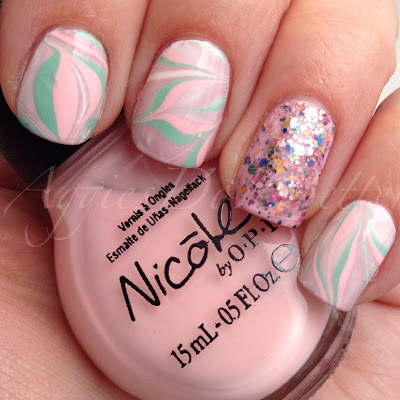 Today's tag for #NailArtFeb is "pastels" so this is what I came up with. My water marble skillz are really lacking, so I am going to be upping my practice on it. Please excuse the lack of sun and dry hands.....like I said before..... BOO WINTER GO AWAY.